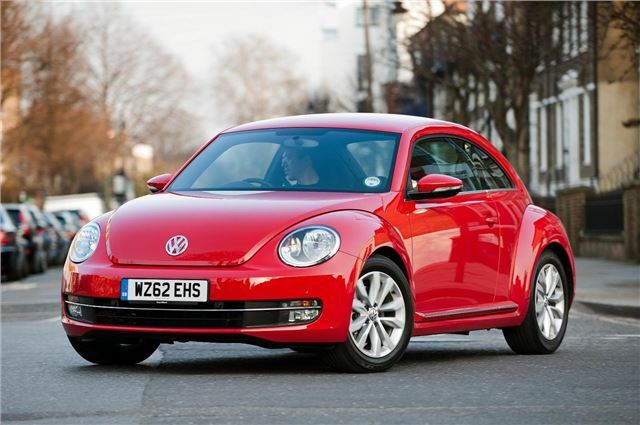 Volkswagen has added a six-speed manual version of the 1.2-litre TSI petrol engine to the Beetle range, which joins the seven-speed DSG automatic variant. Additionally, a 1.6-litre TDI with Bluemotion technology has been introduced, and is offered with either a five-speed manual of seven-speed automatic gearbox. The introduction of the manual 1.2 TSI brings the entry price for the Beetle down to £15,195, which is £1405 less than previously. The 1.6 TDI Bluemotion is priced from £17,030 and offers the lowest emissions in the range, at 113g/km, with fuel economy of 65.7mpg. The Beetle was launched in March and has since had numerous range additions and improvements, and these latest additions complete the line-up.